Jacques-Yves Cousteau is one of the greatest explorers in history and he used to refer to the sea as a great unifier among all men. For him, it was mankind’s only hope. Cousteau, as we have already examined, was instrumental for sea exploration since he was active and present in the period after the catastrophic WWII. Mankind had been left in ruins and the lessons learned led towards a big sociological shift in society’s collective mentality. The quest, with the help of emerging technologies, of trying to understand our world better reached its peak at that period. Men tried to conquer Space, lands and seas. They tried to grasp new meanings, to break barriers and to experiment. 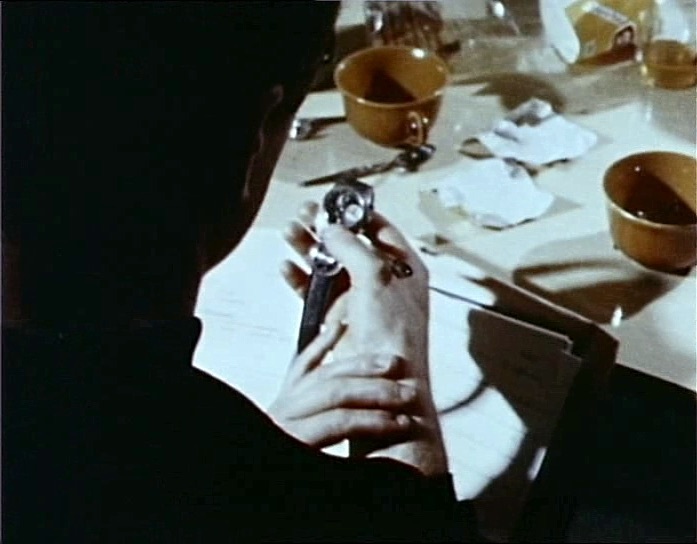 During these years, the reign of the mechanical watch as a tool was unconditional. The meaning of time, and the importance of timing in various missions and experiments, was unquestionable. Thus, many watches of that era had been worn on the wrists of famous explorers and some of the most iconic watches were created, in order to be compatible with the new requirements set on these quests. When discussing iconic dive watches, the names of Rolex Sea-Dweller, Blancpain Fifty Fathoms and Omega Ploprof immediately come in our mind. 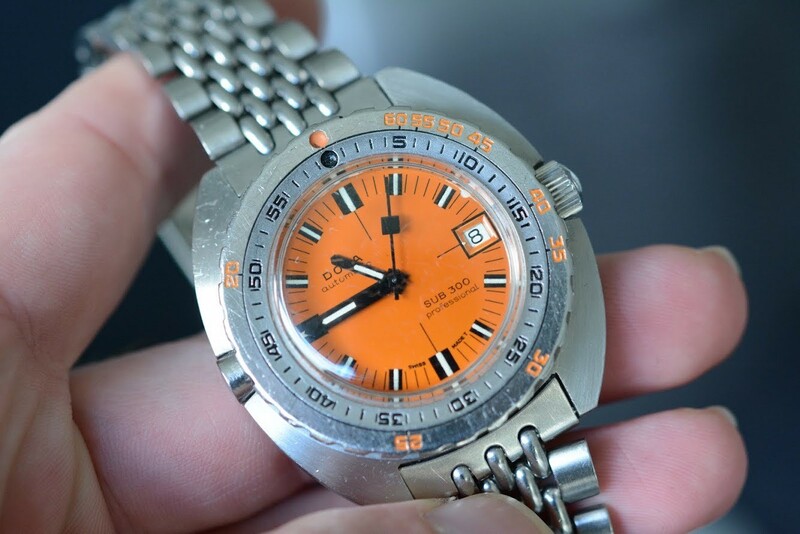 Doxa is often absent from that list since it was a small brand, which often changed ownership and was hit hard, as many others, by the Quartz crisis. 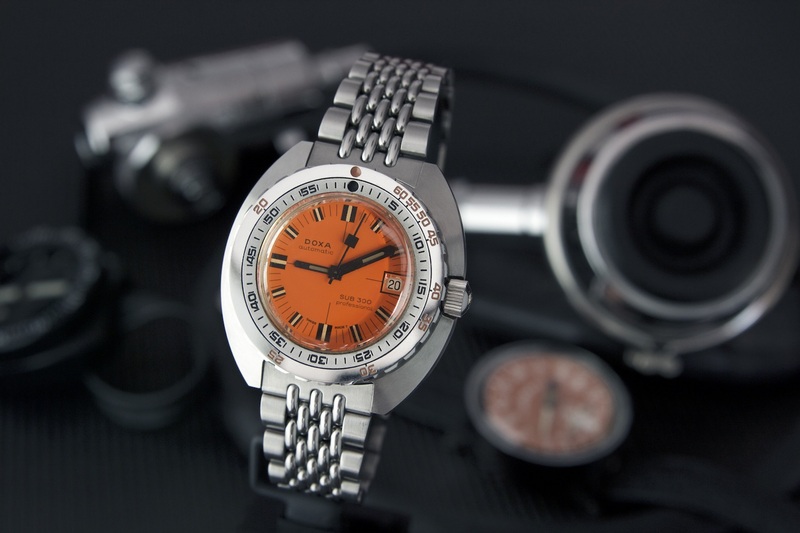 However, we can’t deny the fact that Doxa properly revolutionized the concept of the diving watch. 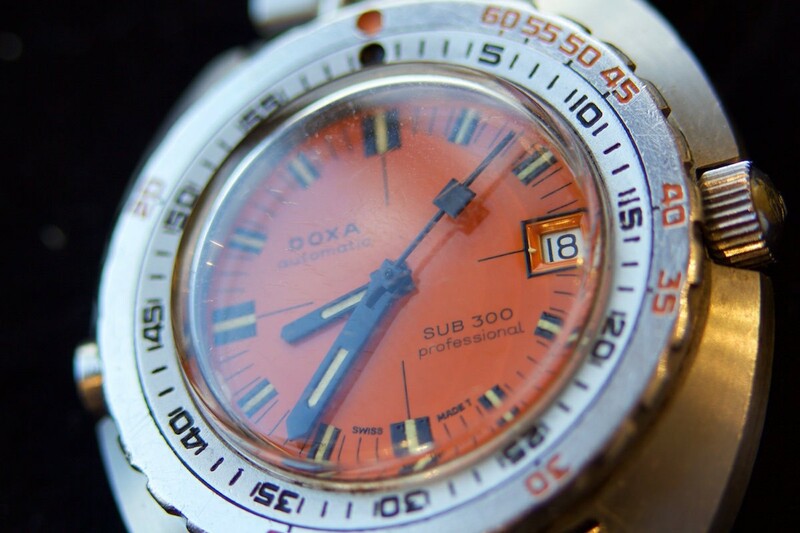 We will refer to the Doxa 300 and its innovations on a future article in more detail. 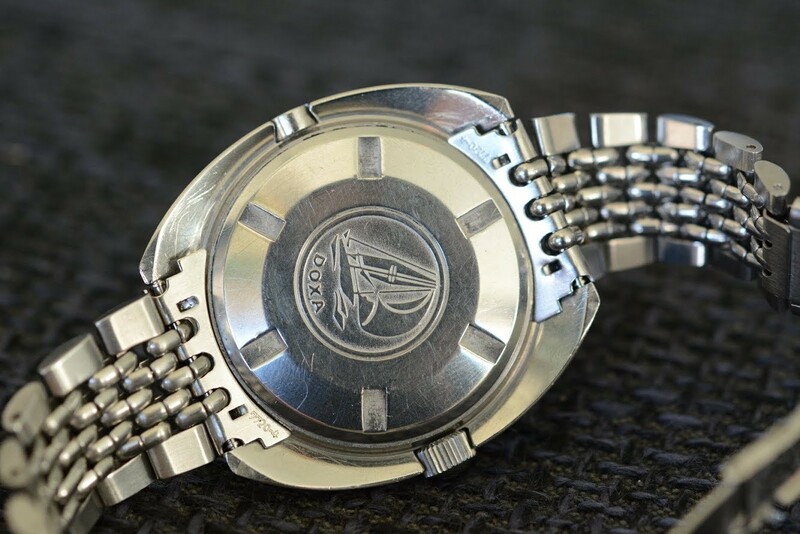 In this exclusive article, we will present an über-rare, never before seen prototype that belongs to Marco Their, a Doxa maniac and collector. This watch in fact holds the title of the “very first watch with helium valve”. However, before we proceed, we must present the framework upon which this rare beauty was created. The Underwater experiments. Living life below the Surface. Human have always tried to prolong their stay underwater by holding their breath, but this was not enough. Through constant evolution the first real artificial method found was that of the diving bell. In 1771 John Smeaton invented the air pump and if this solution solved the physical constraints humans faced, it also created a new set of problems. In 1841 mining engineers reported observing pain and muscle cramps among miners working in mine shafts, where compressed air was used to force water from the tunnels. The miners suffered no ill effects while under pressure. It wasn’t until 1876 when Paul Bert, a French physiologist demonstrated that high external pressures force large quantities of atmospheric nitrogen to dissolve into blood. During rapid decompression the nitrogen forms gas bubbles that block arteries and hence this caused the ‘Decompression sickness’. After many years of experiments in both sides of the Atlantic, Professor Elihu Thompson gave the solution in 1919. He reasoned that Decompression sickness (DCS) could be avoided if nitrogen was diluted with Helium in the diver’s air mixture (helium is an odorless, tasteless, colorless and non-toxic gas). Although in 1938 the first intentional saturation dive with Helium mix took place, it was actually after the end of WWII that the exploration of the sea really started to speed up, due to the invention of the SCUBA apparatus. From that point, all began to be put into perspective. The Aqualung gave man prolonged freedom under water and the way to circumvent decompression sickness was already known, however further experiments had to take place. 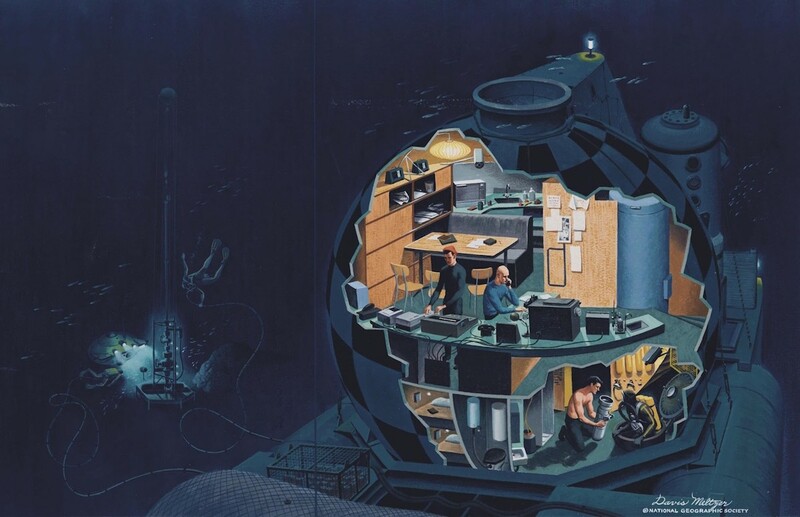 Commander George Bond, U.S. Navy, was a leader in the field of undersea and hyperbaric medicine. 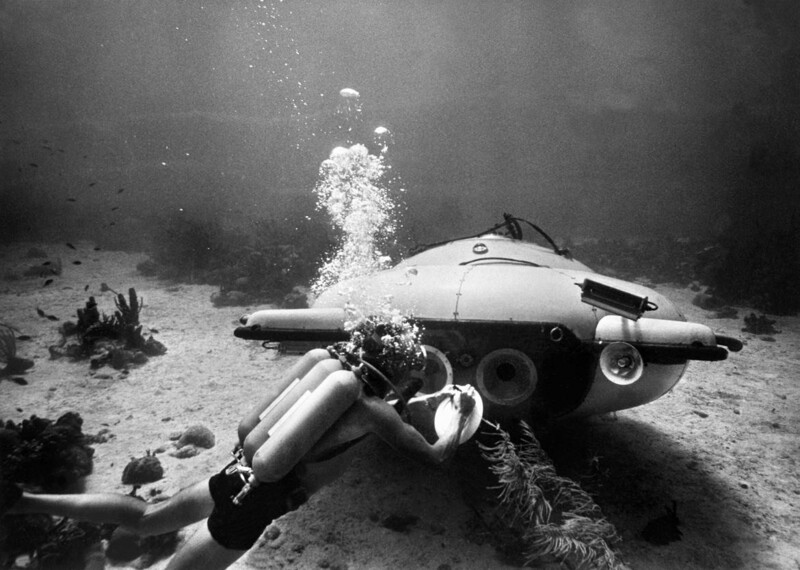 He proposed an ambitious plan of underwater research: Project Genesis (1957-1963). It was the first study of saturation diving in an artificial environment, and the experiments took place at the Naval Submarine Medical Research Laboratory in New London, Conn. and the Naval Medical Research Institute in Bethesda. Md. 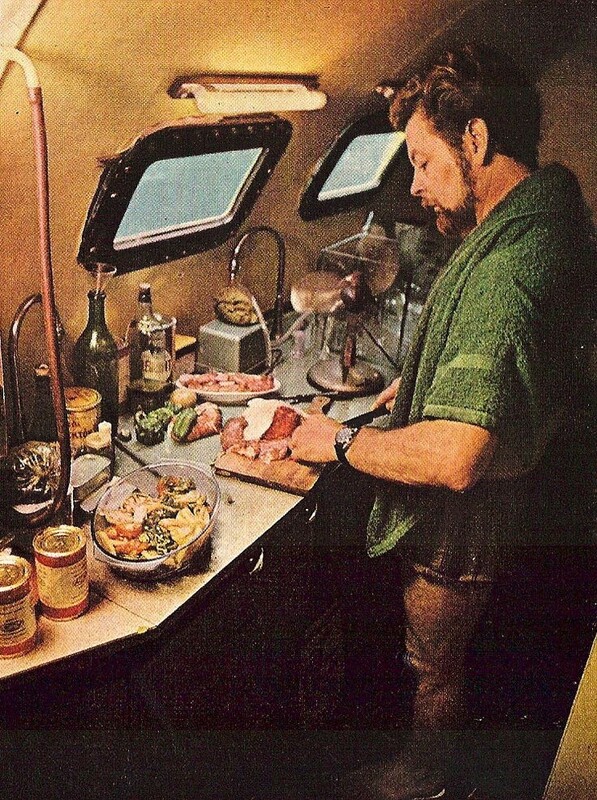 Bond and his team studied an assortment of animals and later humans related to various pressures and gases in a pressurized chamber. Goats were chosen as the preferred standard test subject because of their similarity to human anatomy. 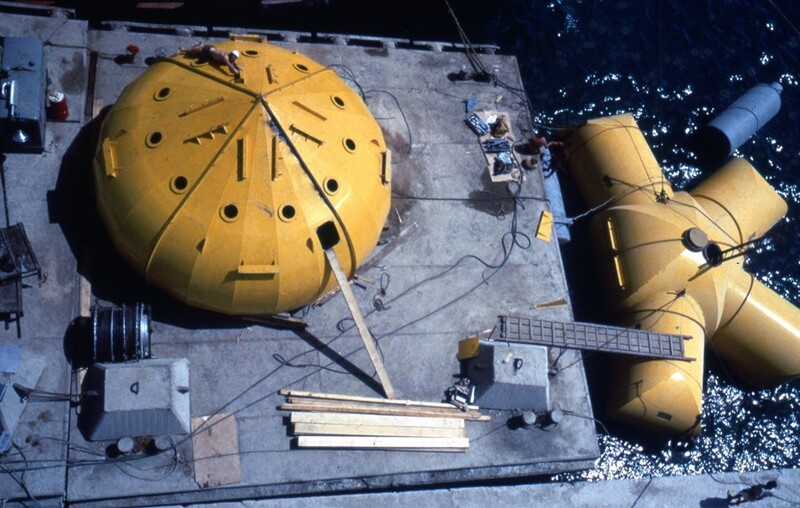 These experiments opened the way to understand better the physiological constraints of the human body under saturated environments and in parallel led to the creation of the SEALAB program initiated by the U.S. navy and started in 1964. However, on the other side of the Atlantic, Commander Cousteau and his team worked on the same approach with real world experiments, the Conshelf program that started in 1962 with Conshelf I and continued in 1963 and 1965 (Conshelf II & III). On these experiments Cousteau and his divers experimented on the human physiology. Conshelf I (Continental Shelf Station One) was placed 10m (30ft) below the surface near Marseilles, France and was home for Albert Falco and Claude Wesly for seven days. 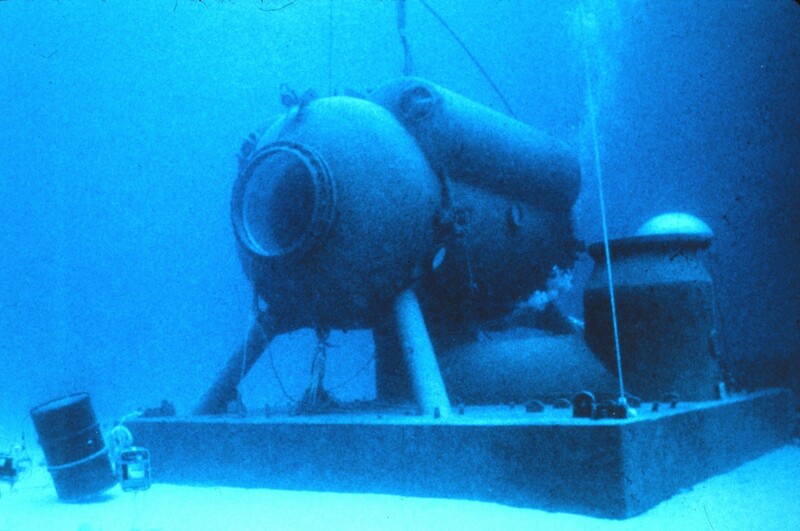 Conshelf II, built in 1963, was a more ambitious test of saturation diving. It had a main compartment at the same depth as Conshelf I, where six aquanauts spent one month. However, it also had a deep cabin, where two men spent a week at 30m (100ft) deep, allowing their bodies to become fully saturated with a helium breathing mixture. Claude Wesly and his team were among the first to breathe a mixture of helium and oxygen, avoiding the normal nitrogen/oxygen mixture which, when breathed under pressure, could cause narcosis. 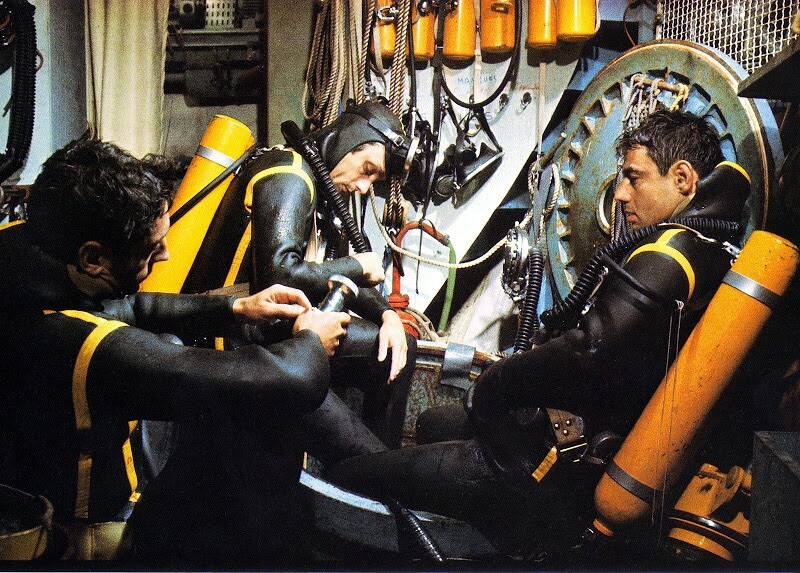 The deep cabin was also an early effort in saturation diving, in which the oceanauts’ body tissues became totally saturated by the helium breathing mixture, a result of breathing the gases under pressure. Normally, this would prove fatal when the team returned to the surface – reduced pressure would cause the helium to bubble out into the divers joints and tissues, afflicting them with the bends (DCS). The conventional solution would have been to subject the divers to lengthy and complex decompression; however, in this case the divers’ instead breathed an oxygen-rich mixture of gases for a few hours before returning to the surface in order to purge the excess helium from their tissues, therefore shortening, as well, decompression time. They suffered no apparent ill effects. The development of Conshelf III sought to make the habitat more self-sufficient, while experiments continued. When the six aquanauts descended to 102.4m (336ft) in 1965, they stayed for three weeks, running tests and performing industrial tasks on a mock oil-rig with limited contact with the surface. The experience gathered from the Conshelf Program was build up with Project Genesis. In parallel, SEALAB program ran under the auspices of the U.S. Navy. The need for further explorations of the deep and the commercial needs of the Oil industry might contradict one another, however those experiments were instrumental for our understanding of how humans behave and led towards a standard procedure for saturation diving that is still followed even today. Physiologically, saturation diving works like this: Under pressure (at depth) the body takes on helium into the blood and tissues. Stay down long enough and the blood and tissues become “saturated”… effectively meaning that no more gas will dissolve into them. So obviously, the economics of saturation diving come into play. It’s cheaper to keep a diver under pressure for an extended period of time, to have him work and live at that same pressure than it is to decompress him at the end of each working day. Therefore, Oil companies mostly created a system that can help divers and that is more cost and time efficient. This system is rarely employed, unless operations are made below 300 feet (and even then, it is very expensive to use). The system has several hyperbaric living chambers on the surface (either on a ship or a barge) that are pressurized to the same pressure as the worksite underwater. This is where the divers spend most of their time. Typically, divers work for 4 to 6 hours underwater and the rest of the time is spent in the hyperbaric living chambers. Once a diver has reached the saturation limit, the decompression commitment does not increase any further and the diver is “saturated”. The, divers can stay in this cycle for an indefinite period of time and don’t have to do any additional decompression. The Diving bell (Personnel Transfer Capsule – PTC) is a relatively small-pressurized chamber. It is placed next to the Living chamber and pressurized under the same pressure as the main Chamber and as the underwater worksite. It is used to transfer divers to their working site. Divers only stay in the PTC / Bell for a short period of time. Once they are at depth they open the lower hatch on the PTC and go into the water to work. The Divers do not use SCUBA Gear. Instead, they have an umbilical consisting of a breathing gas supply line, a communications cable, a pneumofathometer tube, hot water supply to their suit, and maybe other specialized cable for video transmission or other, as well as some spare lines. Welding cables, hydraulic and pneumatic tool lines are separate. The Divers are under constant communication with the Diving Supervisors and Surface Support Personnel. 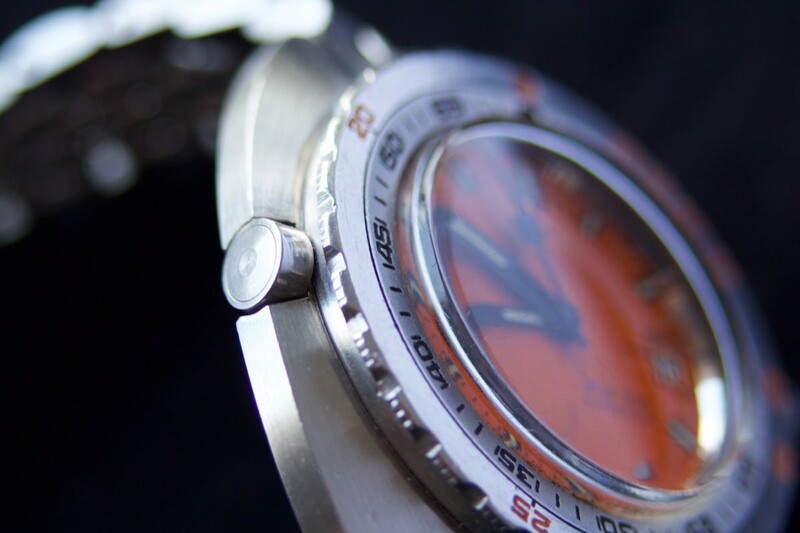 Saturated watches, Doxa and the HRV valve. In these high-pressure environments, which are filled with breathing mixes composed largely of helium, the watches behave in a same way as the human body. 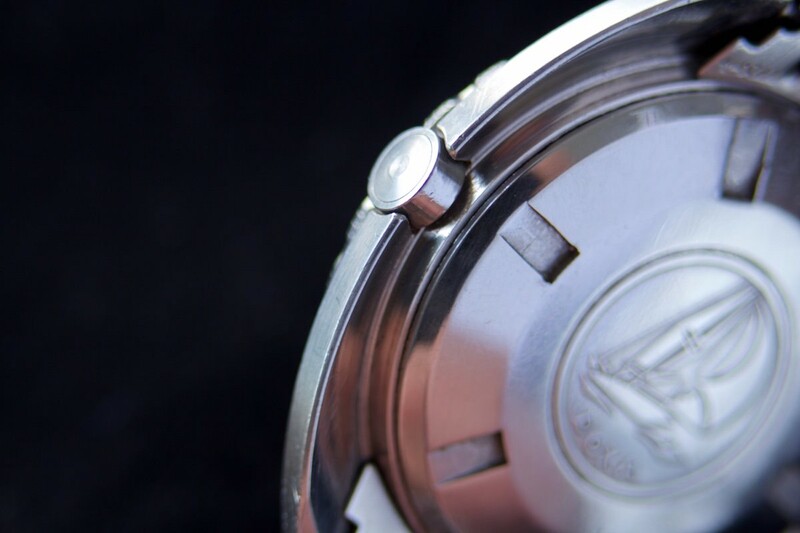 The inner part of the watch becomes saturated with helium, as the pressure inside the case equalizes with the chamber. 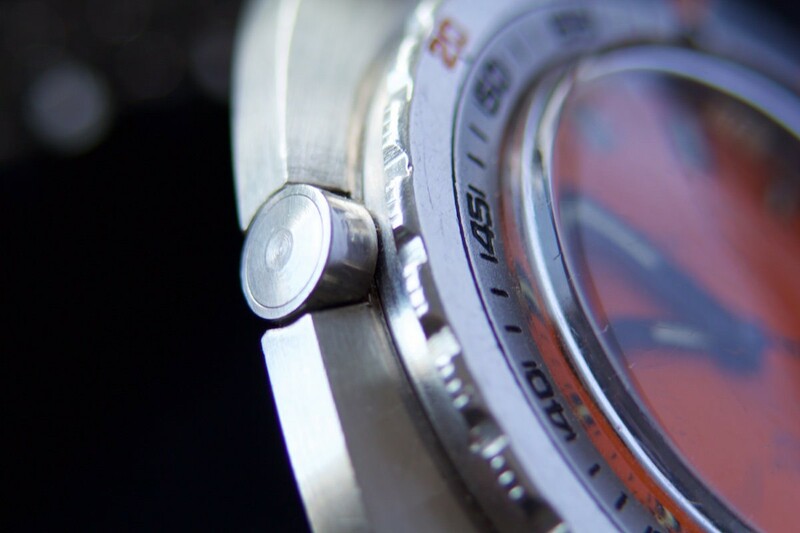 Helium gradually penetrates the watch through the gaskets. During the decompression phase, helium is eliminated from human tissue at a faster rate than it can escape from a stainless steel watch designed to withstand enormous outside pressure, with the result that pressure effectively builds up inside the watch case. 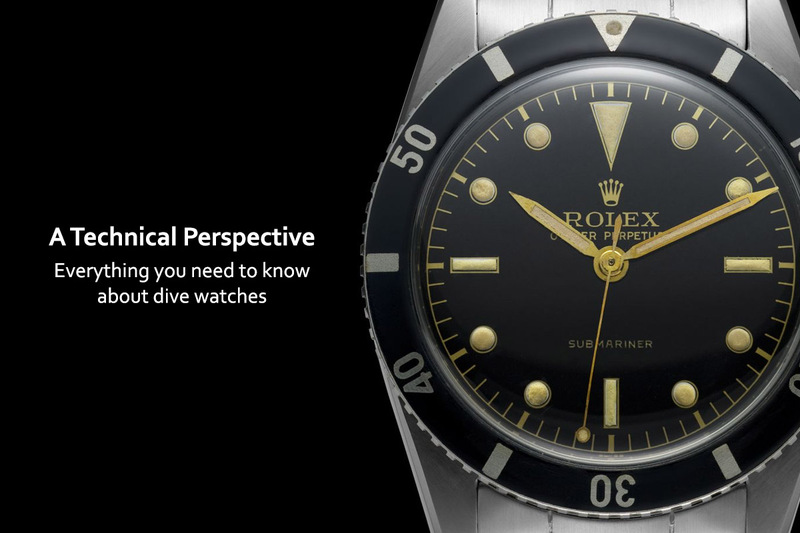 Divers often observed during decompression that the watch crystal could pop out, due to this internal pressure. Swiss watch companies clearly had a serious issue here. 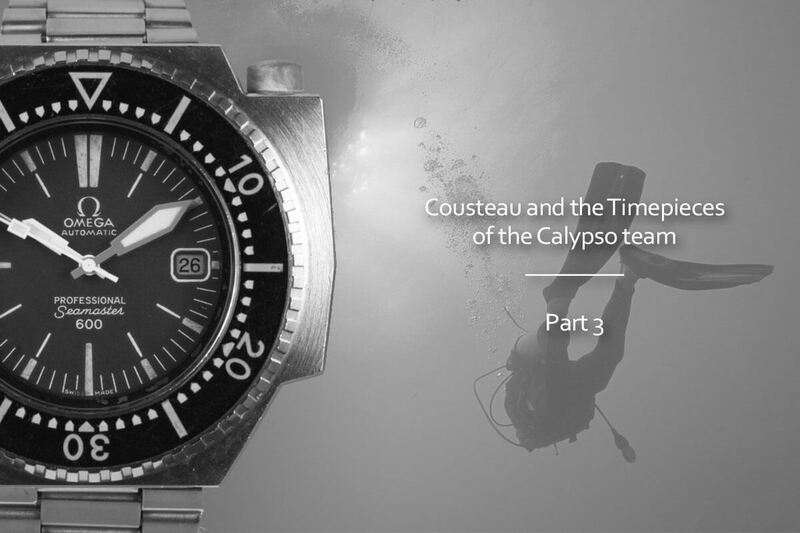 At that time in Europe, the Cousteau team worked mainly with watches from Aquastar and Omega. Likely, divers started to observe this kind of behaviour during their long stay underwater. In the story about Conshelf III in National Geographic Magazine (April 1966), it is mentioned that during decompression after 3 weeks at 300feet, something curious happened. A small “explosion” was heard coming from the sleeping chamber. The crystal of Philippe Cousteau’s brand-new dive watch had blown off at a lower pressure than the 10 ATM that they had been living at for the past 3 weeks. Watch companies saw their products affected by this issue and tried almost immediately to find the solution. 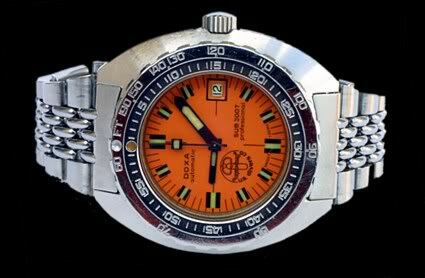 From this, iconic watches were born, but it was Doxa that had the faster reaction. Although a smaller player than the rest of the crowd, Doxa was at the right place, at the right time. 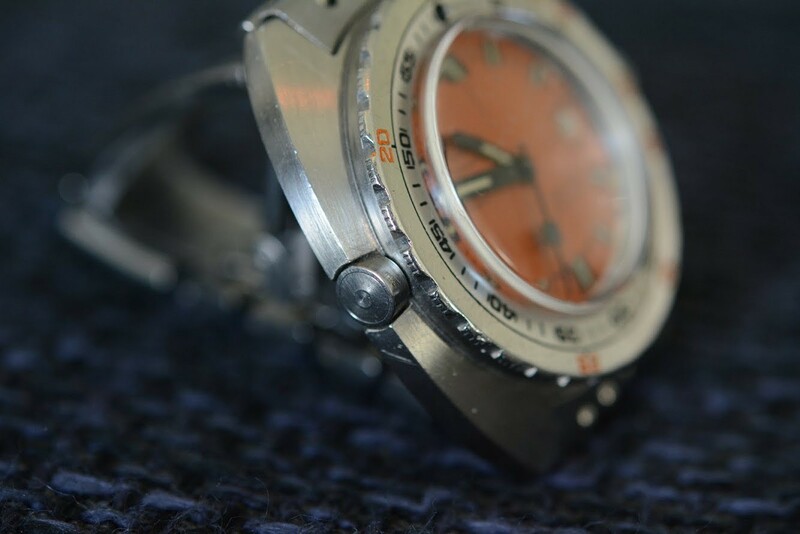 In 1964, Urs Eschle (head of operations of Doxa) decided to create from scratch a new professional dive watch that could be affordable, reliable, legible and comfortable for its user. 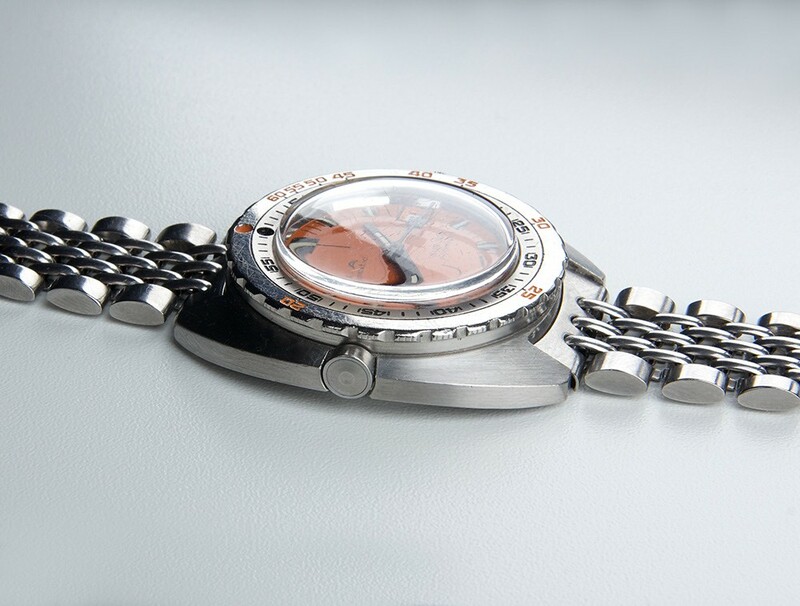 He formed a team of experienced designers, watchmakers and divers and the development started. The goal was to create something evolutionary that would be designed in accordance with lessons learned up to that point. Claude Wesly is a legend among the diving community. He was part of the Doxa development team. He was chief diver for Cousteau and present in all Conshelf experiments. As an experienced diver, Wesly saw in live the effects that helium had on his body, as well as on watches. It is therefore logical that he mentioned the issue to Mr. Eschle and the Doxa development team. The birth of the Doxa 300 coincided with the issues that divers dealt with as they continued their quest to understand life below the surface. 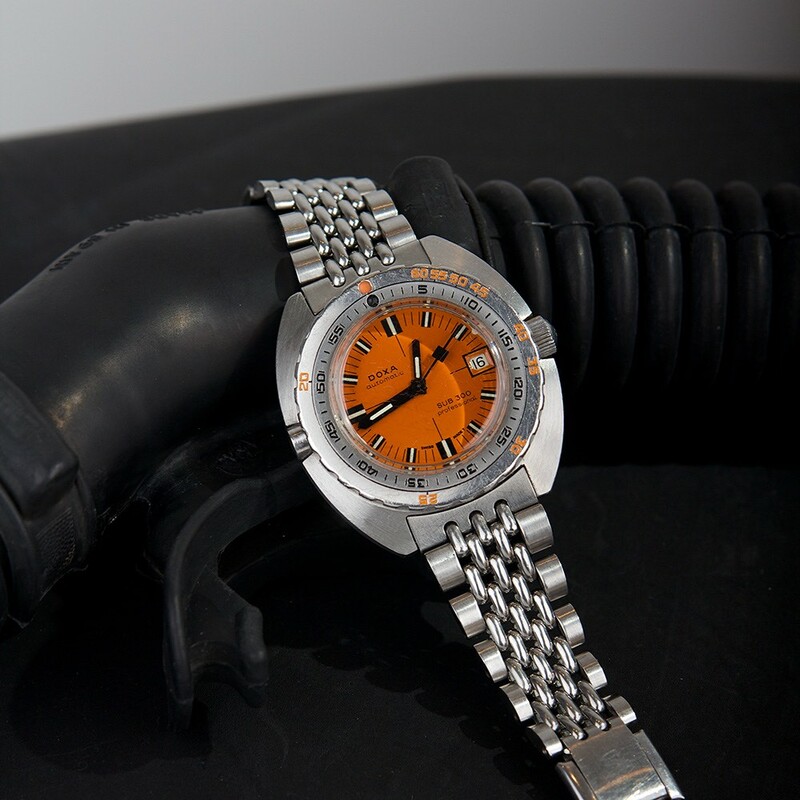 The orange dial, the no decompression bezel, the expando bracelet, and the cushion case all were technical solutions incorporated in order to make divers more comfortable and providing them with a tool better fitted to their job. The relationship between Eschle and Wesly is paramount in order to understand why Doxa had the luxury of starting the development of the HRV earlier than everyone else and almost in parallel with the development of its Sub 300 model. The solution found was an ingenious, simple and effective one. The HRV was a no-return valve integrated to the case of the watch and that activated automatically when the difference between the inner and outer pressure rose at a critical level. When this happened, the valve opened in order helium to be released. Therefore, it was actually a relief valve that dropped the inner pressure inside the case. 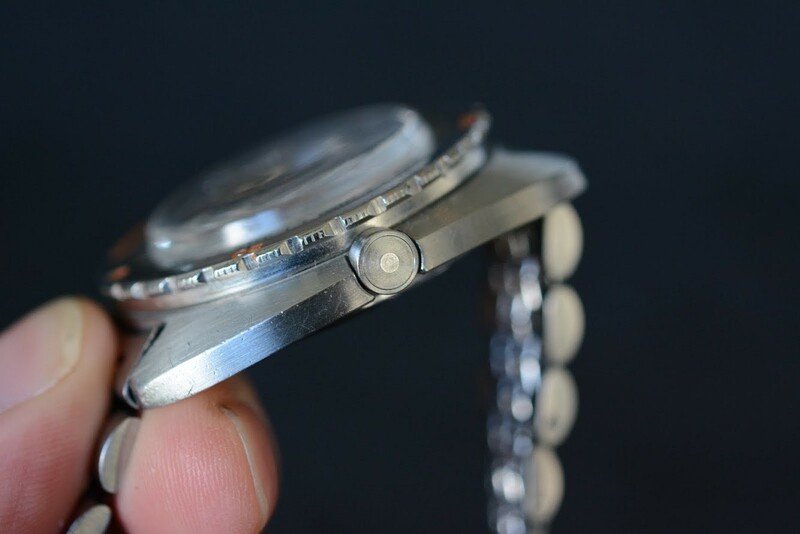 The earliest production dates known for the sub 300 are early 1966, while the prototype 300’s have a 1965 serial number (with the earlier example known having a plain caseback and a raw no-deco bezel). Marco’s prototype was born in 1965. This prototype we present here at Monochrome-Watches, is the earliest divers watch with a HRV valve known to date and its UBER RARE. It has the early thinner case (characteristic of the 300) and also features an acrylic crystal. Let me note here that the 300T had a fatter case and a mineral crystal with serials for the prototypes been placed around 1966. Therefore, due to its inherent characteristics, we might assume that this particular 300 prototype was built up from scratch, with a very primitive HRV valve – and certainly delivered for further evaluation. If you look closely and compare this with a Doxa Conquistador, you can see that the HRV placement is very primitive, it protrudes and it is not protected by the case as in later more refined executions. This prototype as we stated has never seen before, and it’s the earliest watch known with a HRV. It is UBER RARE. Please consider that there are no more than 10 Doxa Conquistadors known. 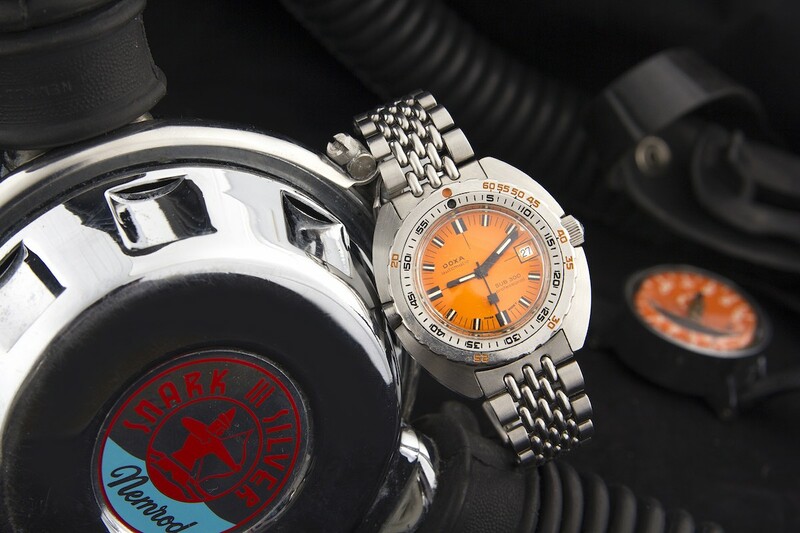 Its rarity can be placed at the same level as that of the Unicorn Doxa T-Graph with HRV – however it is much more important on an historical basis and for the evolution of the diving watches in general. “One of the problems we have during decompression from saturation is the crystal blowing off our watches unless we pull out the crown. Would it be possible to find a technical solution to circumvent this issue?” This simple conversation between Eschle and Wesly is highly plausible and might have led to the co-development of the 300 and the HRV. 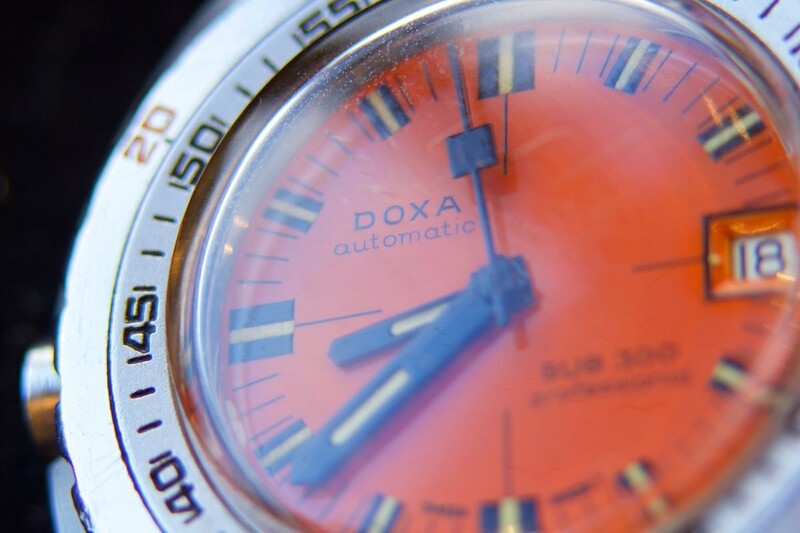 Doxa, as we stated, had the luxury to create an entirely new evolutionary product that became revolutionary. This timeframe and the people involved and the relation between them all led to a product that featured all the lessons learned up to that point. One such problem and lessons learned probably from prototypes such as the watch we presented led to the introduction of the HRV in professional diving watches in general. Although the HRV is just a marketing gimmick and it is useless for 99,99% of us (since it is only useful in a totally dry environment and only if there is a need to decompress ourselves after a technical saturated dive) I find the history of the development and its incorporation on a watch extremely fascinating. When you buy a watch with HRV you don’t buy it cause you need it, you buy it cause you know its history and its development, you know that there were people testing the limits of themselves and of their equipment. It’s a highly romantically choice. 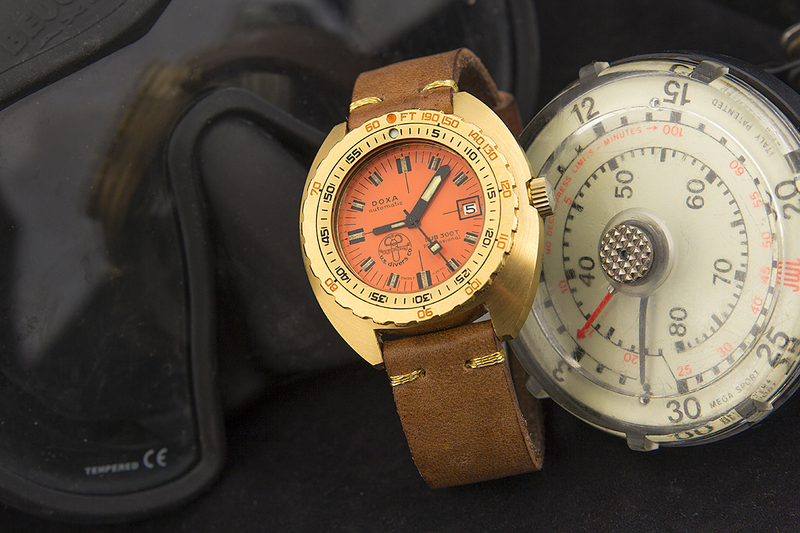 This rare watch we presented is the forefather of all the HRV equipped divers and represents an era long gone. 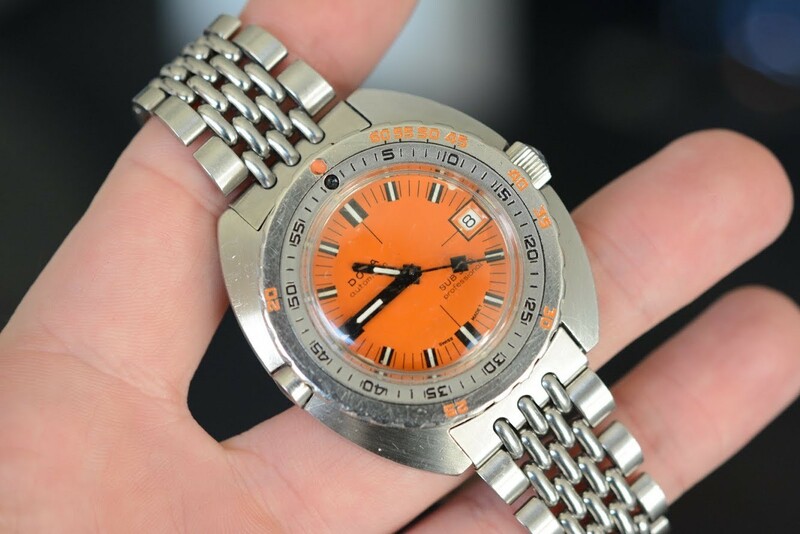 This article could not have been written without the invaluable help of the owner of this extremely rare Doxa Mr. Marco Thier and also without the help of Dr. McClean Millar both of which I thank enormously. All the pictures of the watch belong to Mr. Thier. Gilliam, Bret. Von Maier, Robert and Webb, Darren. Deep Diving: An Advanced Guide to Physiology, Procedures and Systems. Watersports Publishing, Inc., 1995, San Diego, California. What a great article. Thanks for a fascinating history lesson. You did a outstanding job making keeping this both technical and human. I have been interested in underwater exploration since I was a child in the 1960s. Cousteau is a hero of mine. Through all the years and all I have read, I have never come across this story before.